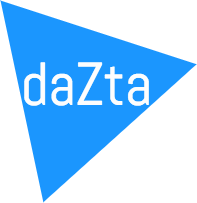 At daZta, we research, design and engineer elegant digital products, partnering with individuals, industries, governments and organizations. We at daZta technologies, work closely with our clients to enable them, achieve their business objectives by offering unique practical solutions, that will make their deliverables better placed than their competitors. We Imagine, Explore, Create something new. Engineering products, execution of projects and architecturing software. Managing projects execution, timelines and process. With our state of the art engineering team, we develop world class mobile applications for our clients. We build, amazing products that you have envisioned, with our expertise. We undertake complete development of software, giving you more room to think and expand your business. We thrive and cherish open source technologies and our technology adoption rate is fastest in the industry. Disclaimer: All product and company names are trademarks™ or registered® trademarks of their respective holders. © 2016, Dazta Technologies LLP. All Rights Reserved. DC1 - 203, Aarambh township, Papireddy colony, Serilingampally, Hyderabad, Telangana - 500 019, India.